Have a 1960 penny and want to know its value? As you’ll soon find out, determining the value of your 1960 penny may take a little work, as there are several varieties of 1960 pennies — and each of these old pennies is worth different amounts! Don’t worry, we’ll lay out all of the facts below so you can figure out what variety (or varieties) you have and see how much your 1960 penny is worth. What Is A 1960 Penny Worth? Depending on the condition of your 1960 penny and its variety (in the case of 1960 pennies, this is determined by the size of the date) — your coin may be worth anywhere from 2 cents up to $10 or more. *Values are for coins in uncirculated condition, unless otherwise noted. Circulated 1960 pennies are worth approximately 2 cents. Wondering how to tell the difference between a 1960 Large Date penny and a 1960 Small Date penny? See the tops of the numerals in the date of the 1960 Small Date penny? Notice how the tops of the numerals (except for the “6”) all form an imaginary straight line? Now look at the 1960 Large Date penny. See the top of the “9” and how it pops up taller than the “1”? 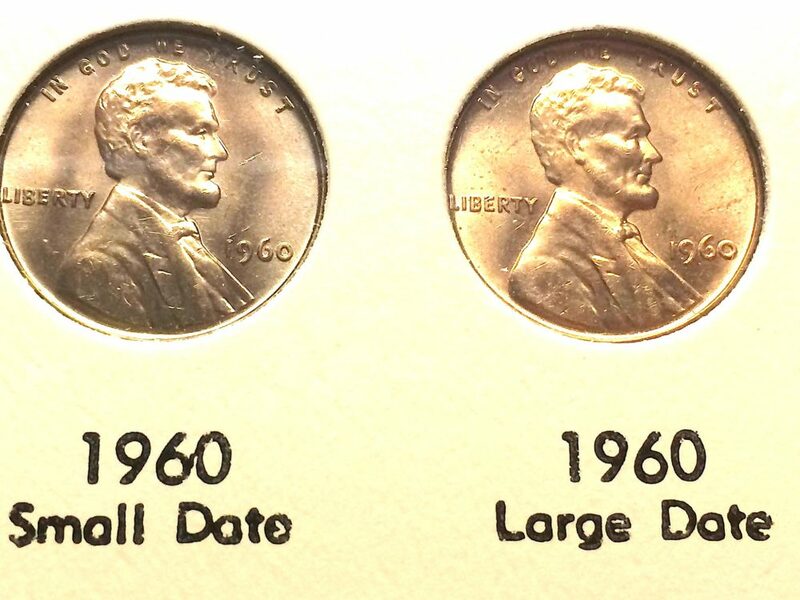 Those are the differences between a 1960 Large Date and 1960 Small Date penny! 1960 pennies are made from a 95% copper composition. They contain approximately 2 cents’ worth of the valuable metal. That means all 1960 pennies are worth at least 2 cents — more or less. While it’s illegal to melt pennies for their copper value, coin hoarders still save old copper pennies anyway. Why? Because they’re hoping that the United States government will repeal the penny melting ban at some point in the future. In the meantime, a 1960 penny is worth about double its face value. The great news for coin collectors? 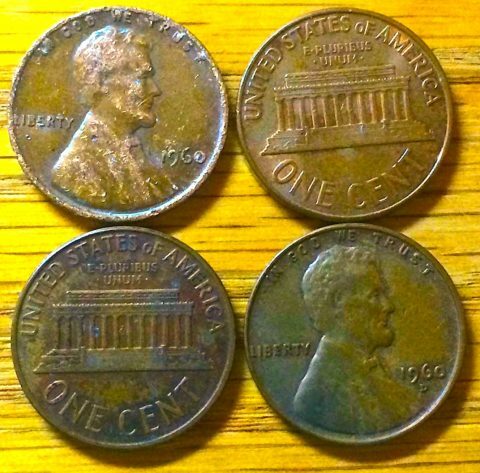 There are still many 1960 pennies in circulation — so you may find some in your pocket change if you look carefully enough for them. What Else Happened When Your 1960 Penny Was Made? Democratic Massachusetts Senator John F. Kennedy was elected president on November 8, 1960, narrowly beating Republican incumbent Vice President (to President Dwight D. Eisenhower) Richard Nixon. Kennedy became the first Catholic and the second-youngest person ever to serve as president of the United States. TIROS, the first United States weather satellite, was launched. The 1960 Civil Rights Act was passed to help alleviate violence and obstruction against voters. Hurricane Donna killed more than 150 people along its path from the Caribbean to New England. The devastating storm punched coastlines with winds up to 145 miles per hour that caused nearly $1 billion in damage (in 1960 dollars). On movie screens in 1960 were these flicks: Psycho, The Apartment, Spartacus, The Magnificent Seven, Inherit The Wind, and The Time Machine. Popular songs in 1960 included “The Twist” by Chubby Checker, “Itsy Bitsy Teeny Weeny” by Brian Hyland, “Stuck on You” by Elvis Presley, “That’s All You Gotta Do” by Lee “Scratch” Perry, “Why” by Frankie Avalon, and “All I Could Do Was Cry” by Etta James.